If you owned a bakery, you wouldn't be buying cinnamon rolls from the bakery down the street. If you owned an office supplies store, you wouldn't drive to a competitor's store to buy a stapler or paperclips. It's the exact same thing as an SFI affiliate, especially when it comes to products you're ALREADY buying. Your store (TripleClicks.com) probably carries many products and/or services that you ALREADY purchase from a local store or other service provider. You should transfer those purchases...to YOUR store. Remember, we're not talking about spending extra money, just changing from where you're buying. So what's in it for you? What benefit do you get out of buying from your own store? For starters, your purchases at TripleClicks earn you valuable VersaPoints, which are vital for you to advance in rank and unlock all the associated benefits. You also earn Rewardical Tokens with every purchase! But it's goes much, much further than that. 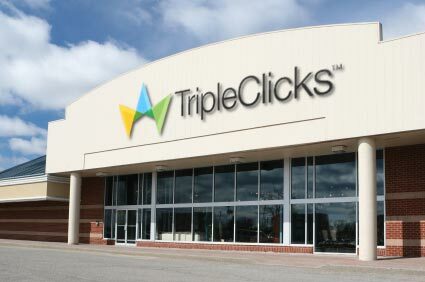 The fact is, SFI's success—and your success as an SFI affiliate—is tied directly to the success of TripleClicks (TC). The more successful TC is, the more successful SFI's affiliates will be. ...which all leads to larger affiliate commissions of course!